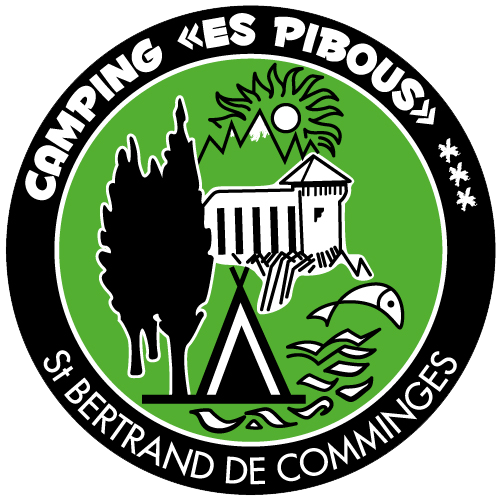 Enjoy an exceptional holiday by booking with Camping Es Pibous***, in Saint-Bertrand-de-Comminges. Our family campsite was founded more than 50 years ago. Stay at our 3-star family campsite when visiting the Pyrenees. We have 80 pitches of 100 m² each. Enjoy the fresh air of the countryside and the surrounding mountains in our green and shaded setting. A service area is available for those who come with a camper van. You will also be given the choice between renting chalets and bungalows. Our facilities are equipped with a baby bathroom and a shower room for the disabled. Stay in a green and shaded setting. Take a break from your daily routine at our family campsite for a few days. Fully enjoy yourself thanks to our diverse activities: outdoor swimming pool with paddling pool, play area... We have also set up a boulodrome for petanque lovers. You can also visit different tourist sites. Have you chosen Haute-Garonne (Montréjeau) for your family holidays? Stop off at our 3-star campsite. We look forward to welcoming you both in summer and winter! We have activities for both young and old. Make your reservation via our contact form. We do our best to make your stay at our family campsite as pleasant as possible.